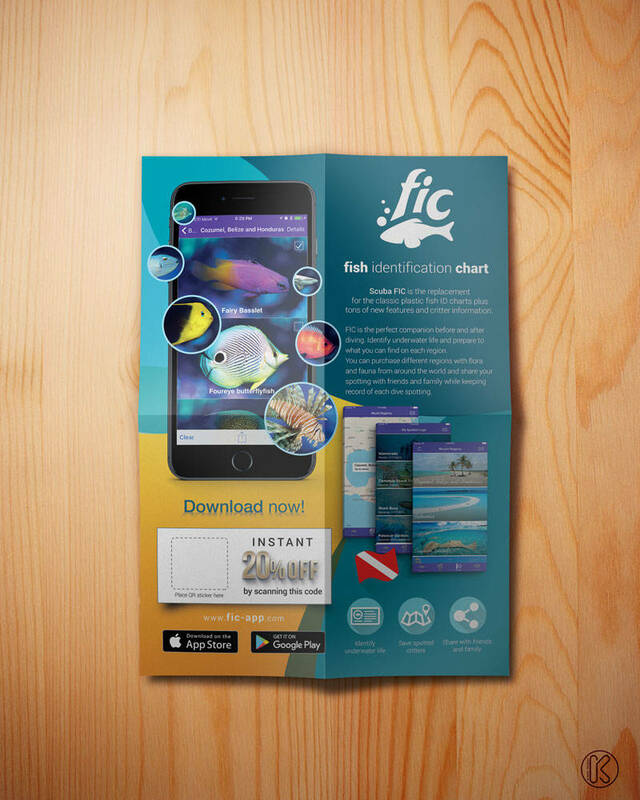 This poster will be shipped to all dive shops across the world and the idea is that it's used as promotional material so people can get to know our APP, scan a QR code in the poster and get a discount on their in app purchases. People who sees the poster need to realize immediately that they are looking at a fish ID app. A poster that is very clear, minimalistic with a sense you are on the beach, clear colors like caribbean sea color. The poster will be folded in four parts for shipping purposes.